The UN General Assembly has overwhelmingly adopted a resolution demanding the U.S. lift an economic trade and financial embargo against Cuba. It was supported by a majority of countries with only three against, among them the United States. This is the 17th year in a row that the General Assembly has voted to end the U.S. embargo. 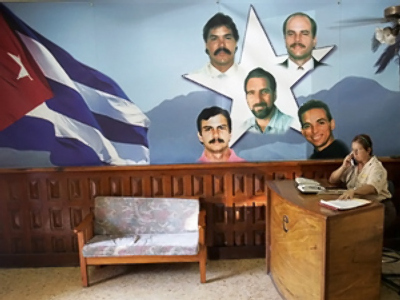 The unbinding resolution, though, has had no impact on U.S. foreign policy in the past, and authorities in Cuba are not hopeful about the new resolution bringing about any change. The 46-year old sanctions have been a major obstacle in the socio-economic development of the country. Havana says the blockade has cost it $US 100 billion over half a century. Two-thirds of Cuba’s current population were born under the blockade, which almost all UN members consider a violation of international law, human rights and Cuba's territorial integrity. “The continuing commercial, economic and financial blockade of Cuba by the United States is counterproductive. It is a remnant of the days of the Cold War,” said Vitaly Churkin, Russian Ambassador to the UN. Critics say the U.S. sanctions aimed at Cuba's government instead devastate the health and diet of Cuban people. The embargo prevents imports like medicine, seeds, fertilisers and farm machinery. U.S. investors are barred from doing business in Cuba. That costs the country an estimated $US 232 million a year. But Washington continues to offer no compromise insisting the embargo is justified because the Cuban government is undemocratic and restricts political and economic freedom. According to recent polls, 61 per cent think the U.S. should re-establish diplomatic ties with Cuba. Presidential candidate Barack Obama has vowed to use direct diplomacy with Cuba's government and to lift travel restrictions. However, his Republican opponent, John McCain, refuses to negotiate with the current Cuban government.